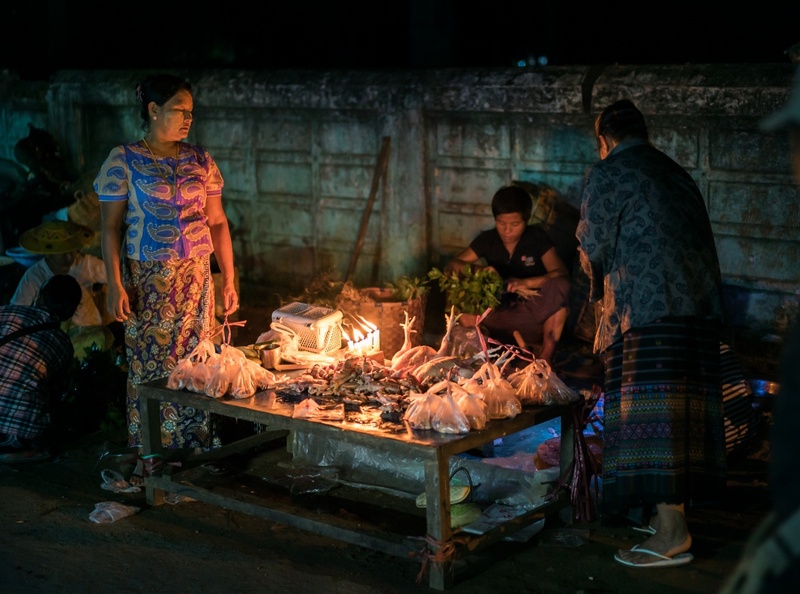 Thia photo was taken about 04:00 AM during traditional morning market in Hsipaw, Myanmar. Hsipaw is located by river and all the villagers from nearby villages gather every morning from 03:00 to 07:00 to sell their products. People come to buy things and pack them on motobikes as really dodge looking constructions. I wonder how they stand constant shaking of bumpy roads. Tip: All the markets in Asia look pretty much the same so if you are not hanging nearby it’s really no use to travel for several hours just to see one. We just happened to camp 50 meters from here and thought to check it out.